The rights of Palestinian refugees have been long neglected and their suffering has been carried from generation to generation for 67 years. In his recent piece A Bold Proposal: Palestine Should Give Its Refugees Citizenship, Al-Shabaka Policy Advisor Fateh Azzam argued that the State of Palestine should confer citizenship on its stateless refugees and enter into bilateral agreements with other states regarding the status of Palestinian citizens in each country. Azzam identified the potential pitfalls of his proposal but made the case that this is a proposal worth exploring given the dire of Palestinian refugee communities, especially in Syria and Lebanon but also in other places of refuge, including Jordan. In this roundtable, Al-Shabaka policy advisors debate the pros and cons of this proposal, and find more problems than solutions. Randa Farah, who has done extensive work on Palestinian refugees, warns against de-linking the law from the messy reality of power and politics and describes the ways Israel can use this proposal, including in its persistent campaign to dismantle the UN Relief and Works Agency (UNRWA). Ingrid Jaradat, co-founder and former director of Badil Resource Center for Palestinian Residency and Refugee Rights, notes that the legal tools and mechanisms already exist to give Palestinian refugees rights almost equal to those of the citizens in the countries of refuge, and argues that a citizenship law will undermine the international status of Palestinians as one people. Amman-based international lawyer Anis Kassim, recalling the history of the Palestinians in Jordan and the problems they face today, fears that the idea may play into the hands of a government interested in divesting its Palestinian-origin citizens of their Jordanian nationality. Writer and analyst Mouin Rabbani believes that creative thinking is sorely needed to shake up the political dynamic but also notes that the narrow factional state of the Palestinian movement will preclude any action. Political commentator, author, and playwright Samah Sabawi notes that the Palestinian passport is ranked the 5th worst in the world in terms of visa restrictions and wonders what authority the ailing leadership can wield. Jaber Suleiman, the Coordinator of the Centre for Refugee Rights/Aidoun in Lebanon, points out that the Palestinians never lost their original citizenship and expresses concern that while the current proposal might not weaken the individual right to choose to return, it would weaken the collective right of return. Fateh Azzam offers a response to the points made in the discussion. While Azzam is to be commended for seeking to maximize the new avenues made possible by Palestine’s status to create new facts on the ground, this proposal will have unintended, detrimental consequences for the Palestinians. International law has done little to advance the Palestinian case and indeed has been used against them. Major imperial powers, have historically been Israel's friends because their interests intersect. They are certainly not for the right of return even if some are willing to accept a "sovereign” state let on patches of the West Bank and Gaza that of course does not threaten Israel's security. The reality is that the law is mired in politics and power dynamics and used largely for the benefit of dominant interests. To extract a theoretical legal argument from its worldly and messy context, and most importantly from the existing structures of power and political realities in the region, especially the trend towards normalizing Israel, will only help Oslo prolong its unhealthy life, by legitimizing, facilitating and normalizing the notion that if there is any right of return, it would be to the territory of the State and not to territories colonized in 1948. Let us assume the international community agrees that the Palestinian state may issue real passports denoting sovereignty and citizenship and not only travel documents. Given the balance of power it is not far-fetched to assume that the same international community will agree with proposals that Israel and its lobbyists have been trying to push for some time such as dismantling UNRWA or annulling UN General Assembly resolution 194, and so on. Should we not worry about the dismantling of UNRWA when Palestinian camps are being erased one after the other? In other words, because we are the weaker party and have few chips to bargain with, the good intentions in the Palestinian citizenship proposal might be used against us. In Jordan, Palestinian citizenship might reawaken the question of how loyal the Palestinians are to "our" country. In Lebanon, Palestinian citizenship might mean more freedom of movement - most likely to leave Lebanon - but might neither facilitate the return to Lebanon nor employment. It is naive to think that those granted citizenship would not lose their refugee status: maybe not immediately, but certainly under the current conditions, and in a context where the whole region is in turmoil. It is certain that Israel - the only beneficiary in today's political landscape - will take advantage of this proposal to argue for integration and resettlement, the two durable solutions envisioned by the UN High Commissioner for Refugees (UNHCR) and refugee regime. The third durable solution is repatriation, which Israel has, of course, consistently and adamantly rejected and will continue to do until the balance of power is changed. Instead we should be calling for the implementation of the rights of Palestinian refugees and the stateless in the Arab world (the right to work, to education and health services), as was the status they had in Syria. Beyond that, what is needed is a concerted effort to reposition the right of return as the heart of the Palestinians’ national struggle. Azzam’s proposal distracts attention away from what Palestinians should be focusing on, namely how to mobilize Palestinians in the national liberation struggle. Rather, it will involve us in writing one more scene in the fictional drama of statehood while Israel continues to swallow the land and ethnically cleanse the population. The proposal appears to be guided by the idea that granting Palestinian citizenship to Palestinian refugees in exile could both boost the international standing of the State of Palestine and benefit the refugees. There are, however, many good reasons why the Palestine Liberation Organization (PLO)/State of Palestine should abstain from affirming statehood in this manner. 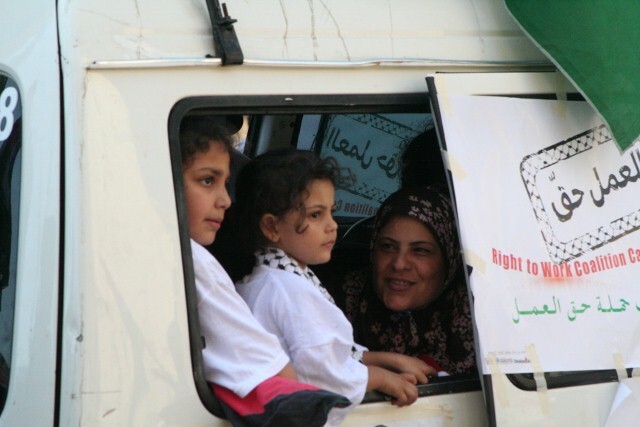 For one thing, being granted Palestinian citizenship is of little added value for Palestinian refugees who suffer from persecution in host countries, because the State of Palestine cannot offer them protection in its own territory. It is also not necessary, because the PLO/State of Palestine can and should represent the refugees in the exile and intervene with governments and international agencies on their behalf, irrespective of whether they are declared citizens of the State. It should, for example, intervene with Arab states for implementation of Arab League resolutions that entitle Palestinian refugees to treatment almost equal to citizens. The PLO/State of Palestine should also build on the work of refugee rights lawyers and organizations, such as Susan Akram and Badil, and intervene with UNHCR and state signatories of the 1951 Refugee Convention for the full application of that Convention to Palestinian refugees. This would include recognition of their Palestinian origin and identity and grant of full Convention Refugee status or provide for a special temporary protection regime that is tied into durable solutions based on the right to return. As a measure that is simple and of immediate benefit, embassies of the PLO/State of Palestine should - as a matter of right and routine, and not as a matter of privilege - issue passports to Palestinian refugees lacking valid travel documents. The proposal, moreover, undermines the internationally recognized status of all Palestinians as one people that is entitled to self-determination and represented by the PLO. This is because one condition for implementing citizenship that the proposal has overlooked is the adoption of a Palestinian citizenship law. The PLO Charter entitles all Palestinians - those in the homeland now Israel, those in the occupied West Bank (including East Jerusalem) and Gaza Strip, and the refugees – to representation in the liberation movement. Neither this Charter, nor the PLO’s 1988 Declaration of Independence meets the standards of a citizenship law of a state. Previous draft citizenship laws were shelved because decisions about who the Palestinian citizens are is divisive. 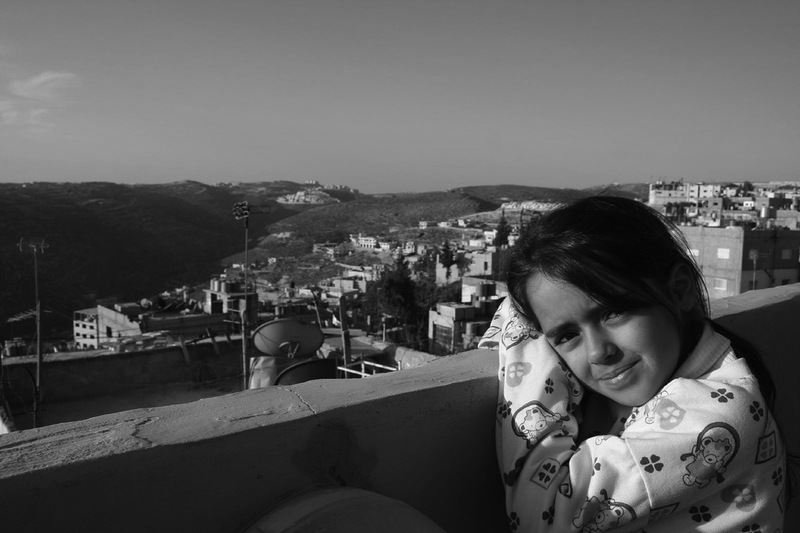 Since a minority of the Palestinian people lives in the territory where the State has jurisdiction, i.e. the occupied Palestinian territory (OPT) the law could not give the majority of the people anything more than the right to opt for Palestinian citizenship. Most of them, however, will be unable or unwilling to realize this option for well-founded fear of reprisals by national authorities, in particular Israel and Jordan, or because national law prevents dual citizenship. By creating a “shrunk” Palestinian citizenry, the State of Palestine would further fragment and aggravate the crisis of political representation of the Palestinian people. While the idea is very interesting, daring and shows a great deal of imagination, I have serious reservation about the timing. As is well known, the Palestinians of the West Bank were accorded Jordanian citizenship virtually by force. In December 1949, Jordan’s Government enacted an amendment to its Nationality Law imposing its citizenship to Palestinians whether they had taken refuge in the East Bank or remained in the West Bank. After four decades, as the Palestine Liberation Organization’s claim to represent the entire Palestinian people gained ground and the 1st Intifada swelled, the late King Hussein washed his hands of the West Bank. In a televised speech, he severed the legal and administrative ties between both Banks. Although that speech was never enshrined in legislation, the Jordanian Governments enacted “secret” regulations that began to make life very harsh for those Palestinians that had been citizens of Jordan since 1949, revoking the citizenship of countless numbers. These regulations have never been published or officially announced. The government even instructed the judiciary not to adjudicate any case filed by a Jordanian-Palestinian to complain about the revoking of his or her citizenship and seek to recover it. Hence, a Palestinian in Jordan, who is a "full citizen" cannot benefit from the protection of his own laws. This is perhaps these regulations’ most lethal consequence. Nevertheless, I am very worried that, with Fateh’s new suggestion, the government of Jordan would take this opportunity to strip all Jordanians of Palestinian origin of their Jordanian citizenship. My concern, in a nutshell, is as follows: If a Jordanian citizen of Palestinian background was not accorded constitutional and legal rights after four decades, what would be his/her position if he/she acquires Palestinian citizenship? The other side of the coin regards the Palestinian leadership: Can it really enact a Citizenship Law? As we all know only a sovereign state can accord citizenship. Palestine may qualify as a state but it is not a sovereign state. Take just these examples: Can the State of Palestine accept a Palestinian citizen who originally hails from, e.g. Nablus, who was deported from or not allowed to enter Germany? Can the State of Palestine grant a ship or a plane legal Palestinian status by having it registered at its seaport or airport? The situation since 2011 notwithstanding, the Palestinians of Syria had enjoyed solid and consistent rights in Syria virtually since 1948, despite changes in Syrian governments. They only lacked the right of citizenship. The same could be said about the Palestinians in Iraq until the US invasion destabilized the country. Only the Palestinians in Lebanon were not accorded similar rights and according them certificates of citizenship would not alleviate their suffering. Fateh Azzam makes the case for the State of Palestine conferring citizenship upon all Palestinians. Noting that the status accorded Palestinians in the occupied territories under the Oslo agreements has essentially changed nothing, and has served primarily to further fragment the Palestinian people, Azzam carefully lays out the objectives and opportunities of his proposal. To his credit, he also identifies and discusses the obstacles and potential pitfalls confronting such an initiative. The elements I found most appealing in Azzam’s proposal concern those that could serve to challenge and transform the prevailing political dynamics. Specifically, a unilateral conferral of citizenship by the State of Palestine could serve to promote Palestinian disengagement from the Oslo framework, undermine the Palestinian Authority’s subservience to Israel and its Western and Arab allies, enable the Palestine Liberation Organisation (PLO) to reclaim the institutional supremacy it has forfeited to the PA and, as Azzam notes, introduce Palestinian agency into what Oslo – and the leadership of Mahmoud Abbas in particular – have transformed into putridly stagnant waters. But therein lies the rub: while the Palestinian national movement is in desperate need of creative and innovative proposals like that put forward by Azzam, that movement no longer exists. Its rival claimants, for the time being based in Ramallah and Gaza City, have essentially abandoned anything remotely resembling a genuinely national project, consistently put factional privilege ahead of the national interest, and have become past masters at sabotaging any effort at popular mobilisation. It would be no exaggeration to say that in 2015 the Palestinian people exist only as a demographic reality; they are no longer a coherent political actor spanning the states and territories in which they are to be found. Under such circumstances, and given the exceedingly narrow priorities of their self-proclaimed leaderships, it is simply inconceivable that Azzam’s proposal – or indeed any other that seeks to transcend the status quo – will make it beyond virtual reality. This is not a criticism of either Azzam or his proposal. To the contrary, there is a dire need for creative Palestinian thinking, and for discussion and debate of such ideas. But for such initiatives and the surrounding discussions to become meaningful and politically consequential, the first order of priority remains the reconstruction of Palestinian national institutions on an inclusive and representative basis. Fateh Azzam is to be thanked for trying to find a way to alleviate the ongoing suffering of Palestinian refugees. Unfortunately, conferring Palestinian citizenship on refugees may not be the answer in the absence of a strong, free and independent Palestinian state. The State of Palestine as was conceived by the PLO in 1988 no longer exists. Today, what the PLO and Palestinian Authority (PA) are willing to accept is a series of demilitarized Bantustans, within and not along the 1967 lines, with land swaps that legitimize the existence of large settlements. Within this so-called state, Palestinian leaders have failed to alleviate the suffering of those living under their supposed control: Of what good can they be to the stateless Palestinian refugees in neighboring countries? Consider this. 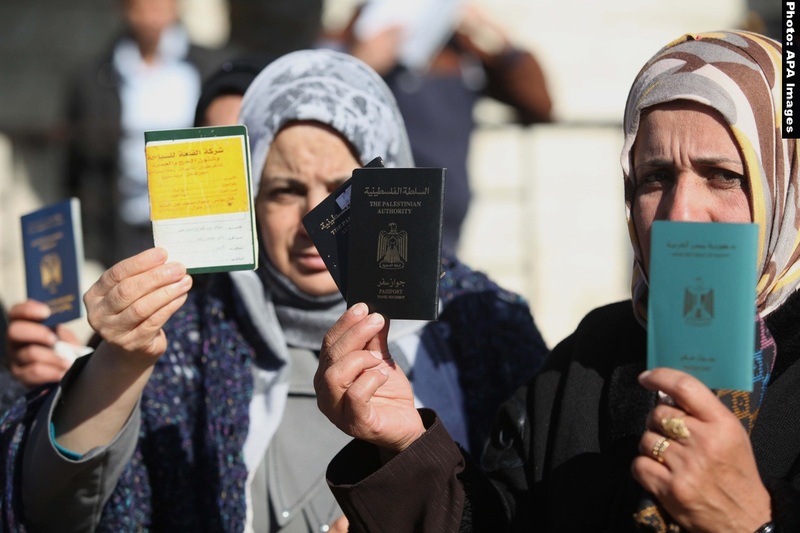 Even after the UN recognition of the State of Palestine, the most vital document Palestinians hold, their passport, is repeatedly rejected by neighboring countries, especially the ones with the largest Palestinian refugee populations. The Palestinian passport, much like the PA, is a product of the Oslo Accords and its existence hinges on Israel’s approval. Indeed, this year, the Palestinian passport ranked 5th worst in the world in terms of visa restrictions. So rather than being an expression of Palestinian citizenship and autonomy, it is a constant reminder of the lack thereof. The Palestinian leaders are not in a position to sign mutual agreements that offer any kind of political benefits such as visas for visitors or temporary residency status for citizens of other countries that wish to work or study in Palestine. Under Israeli occupation and with no control over its borders or economy, the State of Palestine lacks any of the political clout needed for diplomatic reciprocity with any other state, let alone to guarantee the stateless refugees entry into Occupied Palestine. Azzam speaks in his proposal of a citizenship registry at a time when the Palestinian leaders still have no control over their own people’s birth registry, which remains in Israel’s hands, as do the very ID cards that all Palestinians in Occupied Palestine are required to carry. Rather than conferring what promises to be a symbolic Palestinian citizenship on stateless refugees, we need to focus on another aspect that Azzam raises: The crucial and long overdue democratization and reform of the PLO and the establishment of a worldwide Palestinian registry. Once such a registry is established, it must lead to free and transparent elections that would include the voices of all Palestinians. This may be the only way to unify the Palestinian social and political fabric torn apart as a result of Oslo. With a better system of representation and accountability, we can finally put the ailing Oslo-created PA to rest and make way for a new generation of stronger and more capable Palestinian leaders. Fateh Azzam's policy brief raises several questions: Are the Palestinian refugees really stateless? What changes would Palestinian citizenship bring to their legal status? How would such a move impact their right of return? And what are the Palestinian national priorities at this stage? The first point to note is that the claim that Palestinian refugees are stateless is controversial in legal terms. Some jurists argue that Palestinian citizenship, established in 1925 in accordance with Article (7) of the Mandate for Palestine, was not abolished along with the British Mandate for Palestine. In other words, Palestinians have maintained their citizenship even though they have been deprived of actively exercising it. It is also worth noting that some jurists distinguish between nationality and citizenship, considering the latter a step down from nationality since being a citizen does not necessarily entail full enjoyment of rights. Since the Palestinians, including refugees, have not lost their Palestinian citizenship, it can be argued that the step that Azzam proposes would render them "virtual citizens" of the State of Palestine in their host countries - “virtual citizens" that lack the full spectrum of civil and political rights granted by their "state" to its people. But does the State of Palestine currently possess the legal capacity to extend its mandate over the Palestinians in the Diaspora, who are mostly refugees? Its legal mandate is limited geographically and demographically to the West Bank and the Gaza Strip. If conferring citizenship is an act of state sovereignty, does the State of Palestine, which lacks sovereignty and is under Israeli occupation, have the legal right to confer citizenship? I do not think the international community (especially Israel and the United States) would oppose this idea as Azzam suggests. Instead, they would interpret the conferring of citizenship to refugees as a resolution of their problem: Their citizenship would enable them to return to the state of which they are citizens, and not to their original homes in accordance with Resolution 194. When a Palestinian acquires citizenship, whether that of Palestine or any other country, he/she does not legally forsake his/her right to choose to return as an individual right. However, when Palestinians collectively acquire Palestinian citizenship, the right of return is seriously jeopardized as a collective right closely linked with the right to self-determination. Furthermore, it is unlikely that Arab countries would find it in their interest to sign bilateral agreements with the State of Palestine granting Palestinian nationals residing in those countries "reciprocal" benefits and preferential treatment. What could the State of Palestine, which lacks sovereignty and is economically dependent on Israel, offer in return to Arab nationals? This is especially true since the Arab states most concerned - Lebanon and Syria - consider Israel to be an enemy state and do not even allow their citizens to visit the occupied State of Palestine. It would be more productive for the "Palestinian State" to press host countries to give Palestinian refugees a wider spectrum of economic, social and cultural rights instead of turning them into "virtual citizens". This is especially the case as the spectrum of rights and level of protection that host countries are obliged to extend to refugees under with international law is much wider than the benefits that bilateral agreements would produce. It is likely that these countries would continue to discriminate against Palestinians whether they were citizens or refugees. The critical question is this: Should Palestinians give priority to the struggle to achieve national liberation or to establishing institutional legal structures and systems, including those relating to citizenship? I believe national priority should definitely be given to achieving national liberation rather than pursuing the illusion of a sovereign state. We must accelerate our efforts towards ending Palestinian division and restoring national consensus around the national liberation option rather than the state-building option. The PLO must be rebuilt on democratic foundations and the engagement of refugees at home and in the Diaspora to ensure their representation in all PLO bodies and institutions. The idea of Palestinian citizenship, especially in a historical perspective is not new 1.There is literature on the subject, some of which I consulted. By suggesting that the newly-recognized State of Palestine should confer citizenship on Palestinian refugees, I hoped not only to contribute to this literature but to offer a political step forward that may be worthy of further discussion. Asem Khalil of Birzeit University has offered the only other similar suggestion that I’m aware of 2. My thanks to Asem for our brief and helpful email exchange on the issue. I must also acknowledge and thank a number of friends who read early drafts and made some helpful and extremely useful comments, in particular Anis F. Kassim in Amman, Sari Hanafi, Nidal Jurdi, and Noura Erekat. Thanks also to all who commented in this roundtable. 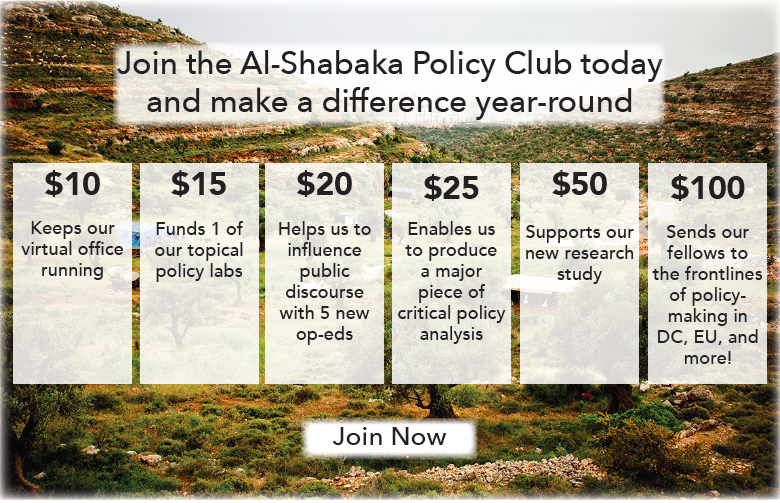 We may all agree or disagree, and certainly none of us have a monopoly on ideas, but I’m glad that the proposal raised much discussion, and hope that Al-Shabaka will continue to host such debates. Each of the specific legal and political issues raised in the comments require more discussion than what I have space for here, so this response is necessarily limited and focused on the broader themes. In the citizenship proposal I had already pointed to many of the dangers that the commentators raised, noting that they require detailed study and thorough consideration before steps are taken. A few overarching ideas emerge that I can agree with: That the current Palestinian political leadership may not have enough political clout to negotiate on behalf of its citizens and is in need of reform or fundamental change before it can, and that the proposal may encounter even more negative policies by Arab states. I’m less worried about Israeli and American reactions, however. There is also general agreement on the importance of initiating a Palestinian registry and a citizenship law that can under gird a re-constitution of Palestinian leadership on the basis of free elections to the National Council. Going beyond the historic “revolutionary legitimacy’ of the PLO would require a decision to re-envision the Palestinian Authority as a sub-structure of the State of Palestine, which must represent all Palestinians. Yet I beg to differ with a number of other ideas, especially the suggestion that Palestine – under occupation - is not “sovereign enough” to implement this proposal. Weaknesses and capacities notwithstanding, Palestine is sovereign if it acts as such, and instituting a measure such as citizenship does not depend on some other party endowing it with sovereignty. Bilateral and international agreement is the spinal cord of international law and state relations. Creating such facts on the ground as citizenship rosters and bilateral agreements can help establish sovereignty. There is a need for political acts - not rhetoric - that represent our vision and hope for the future. If the PLO’s acceptance of a two-state solution was a mistake, then we need to propose the alternatives: To take each political position and propose strategies and options and possibilities for implementation, and take those scenarios all the way through instead of being satisfied with repeating what we can all agree on. This is what I tried to do with this proposal. There are always political and other dangers to proposals such as granting of citizenship, but given our diverse situation, there are dangers and pitfalls no matter what we do. The more serious dangers, however, arise from doing nothing and remaining rhetorical non-actors in the daily drama of our lives, simply reacting to every Israeli policy or measure, reiterating our thawabit (fundamental positions) at every turn. If we don't start thinking in practical and strategic ways about what to do about our situation, we will forever be reading and writing articles complaining about politics trumping law, neoliberal economics swallowing Palestine, corrupt and illegitimate leadership, conspiracies by the Americans and Arab states, colonial and post-colonial enterprises arrayed against us, and we will continue to be victims, not actors fighting for our rights. Al-Shabaka Policy Advisor Dr. Anis Kassim is an international lawyer based in Amman. He is the chief editor of the Palestine Yearbook of International Law. He helped make the Palestinian case before the International Court of Justice, resulting in its July 9, 2004 Advisory Opinion affirming the illegality of Israel's separation wall and its associated regime. 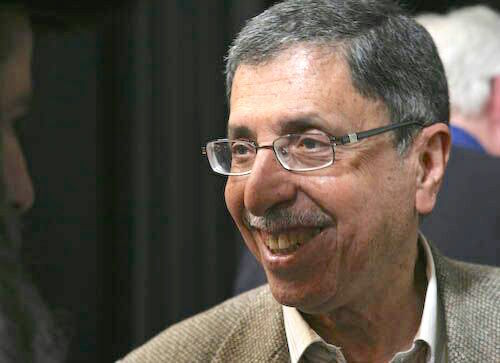 Al-Shabaka Policy Advisor Fateh Azzam is the Director of the newly established Asfari Institute for Civil Society and Citizenship at the American University in Beirut, and Senior Policy Fellow at AUB’s Issam Fares Institute for Public Policy. Previously, he directed al-Haq (1987-1995), was Human Rights Officer at the Ford Foundation (1996-2003), Director of Forced Migration and Refugee Studies at the American University in Cairo (2003-2006) and Middle East regional Representative of the UN High Commissioner for Human Rights until July 2012. He is co-founder and former Board Chair of the Arab Human Rights Fund.